Last weekend I had one of the best experiences of my life, in approximately 15 minutes. 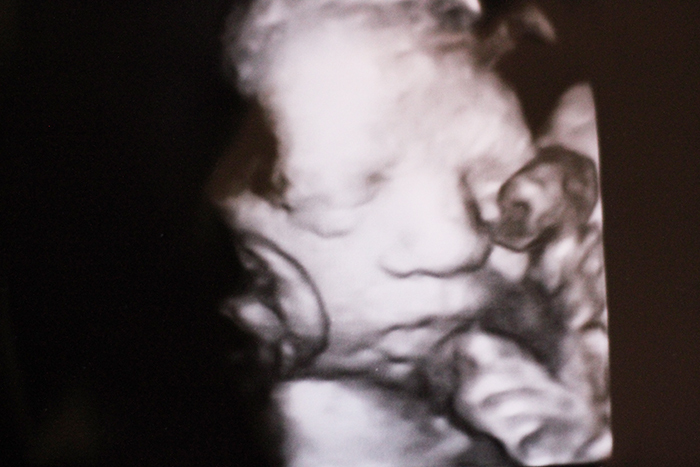 We had a 4D scan with Ultrasound Direct in Southampton, and honestly I can’t stop thinking about it, and I just had to share the experience with you. 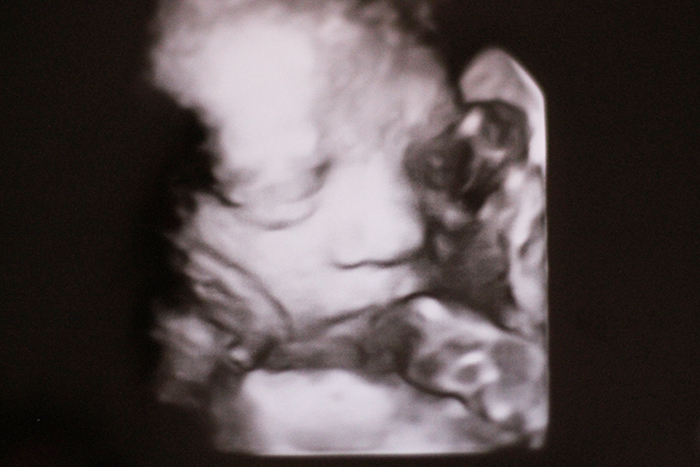 We booked the Simply 4D scan at 28 weeks and 5 days with Baby Bee. The studio in Southampton is so lovely and very welcoming, with stunning photography of newborn babies on the walls. Once invited in, we were introduced to the sonographer and I laid on the bed (pretty much normal for all scans really). 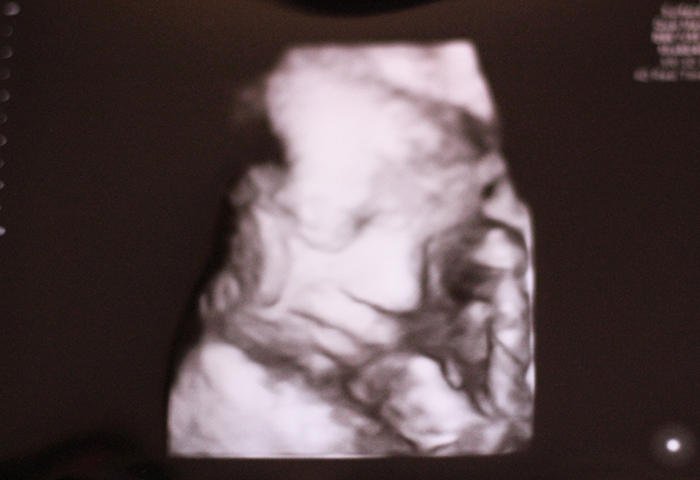 With jelly applied, the 2D image of Bee showed on the screen, and the sonographer located the head and explained how Bee was lying in the womb – basically upside down and facing out, helpfully explained with a tiny baby doll she positioned above my bump to show us. Then came the truly exciting part, she switched to 4D mode and the sepia effect of our baby’s face appeared on the screen. 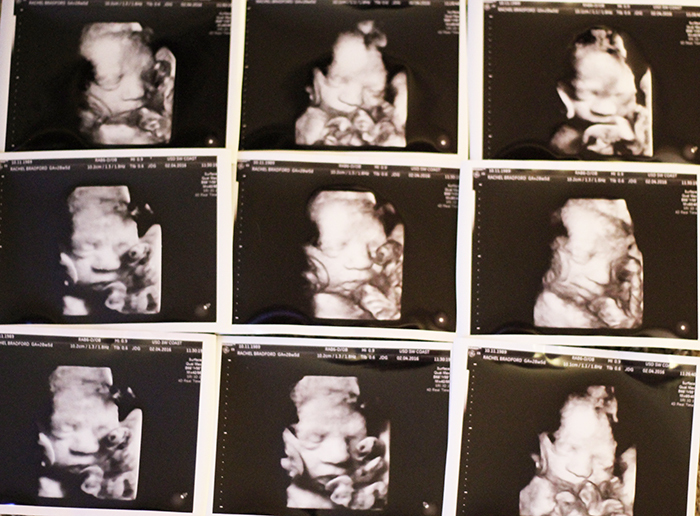 The sonographer switched between 2D and 4D mode to get different angles whilst clicking to print an image. After about five minutes I was asked to pop to the loo to see if the umbilical cord would shift out of the way a little to clear up the photos. Fortunately a short walk and a quick pee did the trick and we started again with some amazingly clear photos. The true highlight was when the sonographer switched to a pink/red hue over the images (using their HD live technology -to get an idea of how it looks, see this google search!) and the screen looked like a real life baby with actual skin, rather than the gold effect you usually see. I physically gasped as I wasn’t expecting it at all, and the image just looked so much like an actual baby. Genuinely don’t think I’ll be forgetting that feeling of seeing their face for a long time. We walked away at the end with a huge stack of black and white photos from the 4D scanning. I can’t stop looking at them. We’ve already decided that Bee has my lips and Dann’s nose (omg cute button nose!) and I’m so utterly in love. The experience and the photos really made it all real for me. Yes I’ve been aware I’m going to have a baby, there’s no escaping that fact, but this kind of just makes it even more real, actually seeing their face properly. It’s terrifying and amazing all at once, and I can’t wait for Bee to arrive, because if I can fall in love with a photo, I can’t even begin to describe what it’s going to be like actually holding them. If you would like your very own 4D scan, I would highly recommend Ultrasound Direct, who are dotted across the country. They also do a huge range of other scans, including early scans, gender reveals, sizing and bonding scans. And remember if you are having a surprise like us, they can keep it a secret for you so you don’t have to worry! 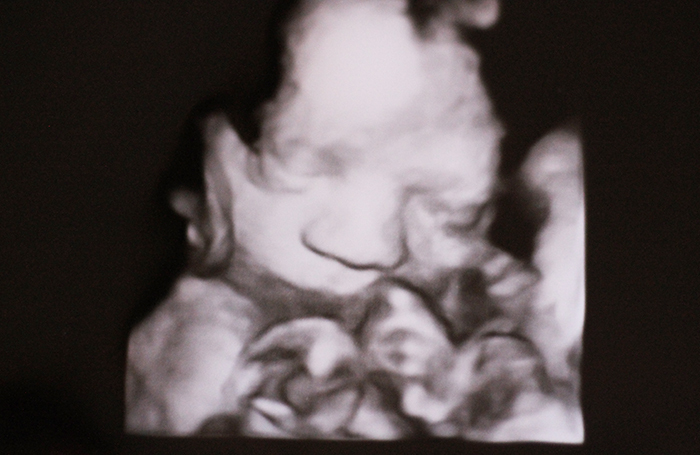 Have you had a 4D scan? How did it go? Or would you have one in the future? "BABY: Pregnancy update – March – weeks 23-27"
"BABY: Making the most of a teeny baby nursery"
First of all thanks for share your personal experience. You need to be very careful about number of times you take 3d ultrasound and 4d ultrasound scans. Be limited for better baby health. Thanks for reading and commenting.Good advice, I will remember that for future reference. I know people are now serious about their family balancing still there are some of them who are not that serious about it.So decision on baby's gender has been an important issue.